Our new Sports Spectrum Global initiative is picking up steam, and thanks to your help, we recently produced a Christian sports publication to be used in ministry throughout Kenya. 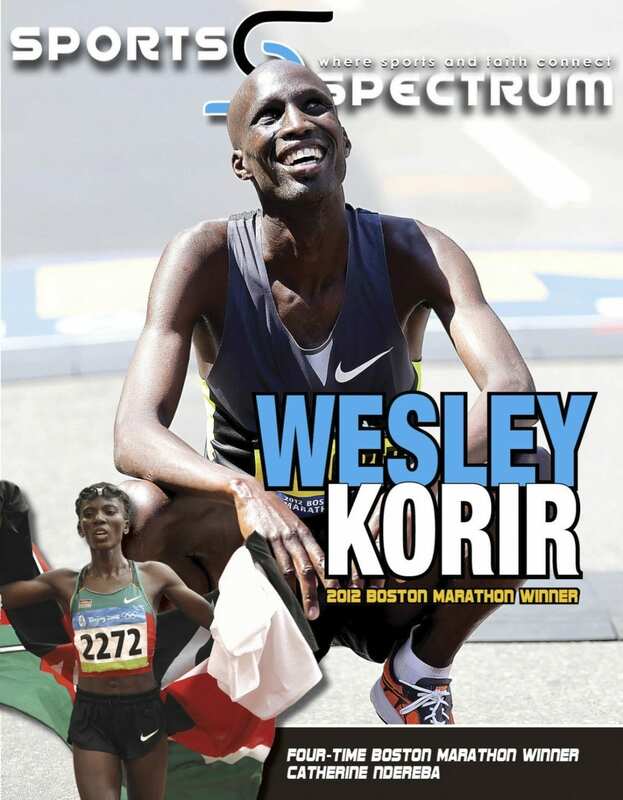 The cover features 2012 Boston Marathon winner Wesley Korir and four-time Boston Marathon winner Catherine Ndereba. We are building other international magazines, as well, including a special World Cup magazine that will be used in Brazil and translated for other countries. Before Sports Spectrum Kenya, we also built the first ever Christian sports magazine in Russia. View Sports Spectrum Russia here. Click here to view Sports Spectrum Kenya or here to learn more about Sports Spectrum Global. Help us with our ministry by donating to the Sports Spectrum Global cause.